With hardly any fanfare other than a press release, American Airlines this week rolled out a new addition to its fleet—the Airbus A321neo. The first flight was American 682 from Phoenix to Orlando on Tuesday, and it won’t be the last one. American has ordered 100 A321neo aircraft and will be placing the planes into existing routes soon. American has touted the new additions to the traditional A321 series. There is power at every seat and free wireless entertainment and live TV streamed right to each customer’s own device. The aircraft has high-speed Wi-Fi from gate to gate along with built-in seatback holders for tablets and phones. 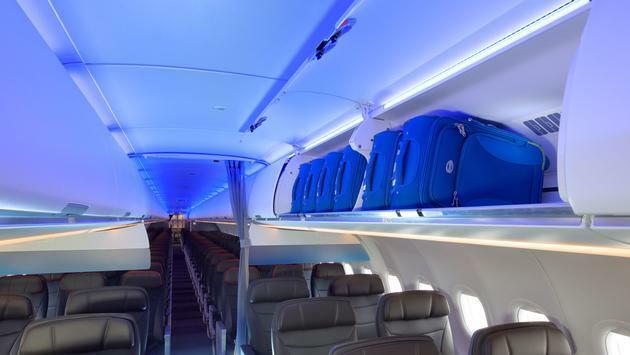 The airline said there is also an all-new cabin interior designed for enhanced passenger comfort and convenience, including larger Airspace XL overhead luggage bins that increase carry-on bag capacity. “We worked closely with Airbus to develop this cabin configuration with the features our customers want, including the Airbus XL overhead bins, which are the largest available for this aircraft and hold 65 percent more bags than our earlier A321s,” Janelle Anderson, Vice President of Marketing for American, said in a statement. It also has 196 seats, an increase of 15 seats from the A321 aircraft. Though, some have noticed that 15 more seats, including four in First Class, means less legroom. American countered that by pointing out there are 47 extra-legroom Main Cabin Extra seats, more than any of American’s other domestic aircraft.